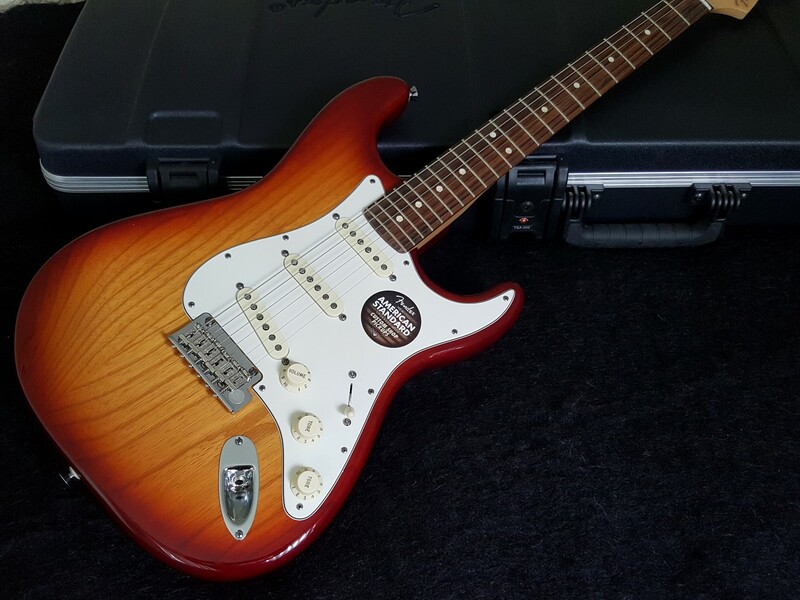 Brand new Fender American Standard Stratocaster - Ash - Sienna Sunburst. 100% mint, un-played, not been a demo. The American Standard Stratocaster solidbody electric guitar is the latest evolution of an American classic, priming it for the 21st century. The ash body and bolt-on maple neck stay true to the original recipe for classic tone. But this American Standard Strat packs a very different trio of pickups - Custom Shop Fat '50s single-coils pickups, previously only reserved for Fender's top-line Custom Shop guitars! These premium pickups pack all the bark and bite that made the Strat sound famous. You'll also love the classic FENDER touches and fan-favorites like hand-rolled fingerboard edges, staggered tuning machines, and aged knobs. Custom Shop Fat '50s single-coil pickups - an amazing value on a guitar at this price. Normally only used on Fender's top-line Custom Shop guitars, these pickups put out the essence of classic Fender tone. Cleans are bright and clear, the midrange has bite, and you can take your tube amplifier from mellow to raging simply with your volume control. A bridge that gives sought-after tone with modern smooth trem travel. This redesigned block retains the mass and tone of a vintage bridge block. Cable, strap, polishing cloth, trem arm, and wrenches included.